Rebecca Sassouni, a lawyer based in a Long Island suburb of New York City, remembers savoring Abgoosht, a traditional Iranian stew, for Shabbat dinners with her family growing up. She was raised in the 1970s by Jewish parents who settled temporarily in New York yet planned to return home to their native Iran. But in 1979, the country her family longed for changed. The Islamic Revolution brought with it a surge of anti-Semitic rhetoric, prompting tens of thousands of Jews to flee. Many believed they would no longer be able to worship freely under the new, ultra-conservative Islamic government and feared the future of Jews in the country had been lost. As Sassouni's family saw their New York community grow with newly arriving Iranian immigrants, they gave up on their plans to return home. Today, the Long Island community where Sassouni lives is one of the largest Iranian Jewish enclaves in the country. They chant Torah in a way that rings similar to how Muslims recite verses from the Quran and they cook a distinctly Middle Eastern cuisine. And many remain extremely bitter toward the Iranian regime. Many in Iranian Jewish communities throughout the U.S. said their experiences with the regime during and in the years since the Islamic Revolution have provided them with unique insight into the current political situation in the country. As the broader American Jewish establishment remains split over the Iran nuclear agreement Congress is preparing to vote on next month, members of the Iranian-American Jewish community have come out overwhelmingly opposed to it. Sassouni, who believes the deal is a dangerous one, is not a lone voice in her community. In interviews with International Business Times, numerous leaders said their community members, some of whom have not lived in Iran for years, or ever, as well as more recent arrivals, widely stand against the deal. They said it would legitimize an unjust regime and pose a threat to world peace. The deal reached last month between Iran, the United States and five other world powers would see Iran commit itself to abandoning its nuclear program in exchange for gradual relief from international sanctions that have crippled the country’s economy. The agreement has come under intense scrutiny by Republicans in Congress, as well as by the Israeli government, who say Iran cannot be trusted to abide by the agreement. Several prominent Jewish organizations, including the Anti-Defamation League, have heavily protested the accord. Israeli Prime Minister Benjamin Netanyahu has been among the deal’s most vocal critics internationally. 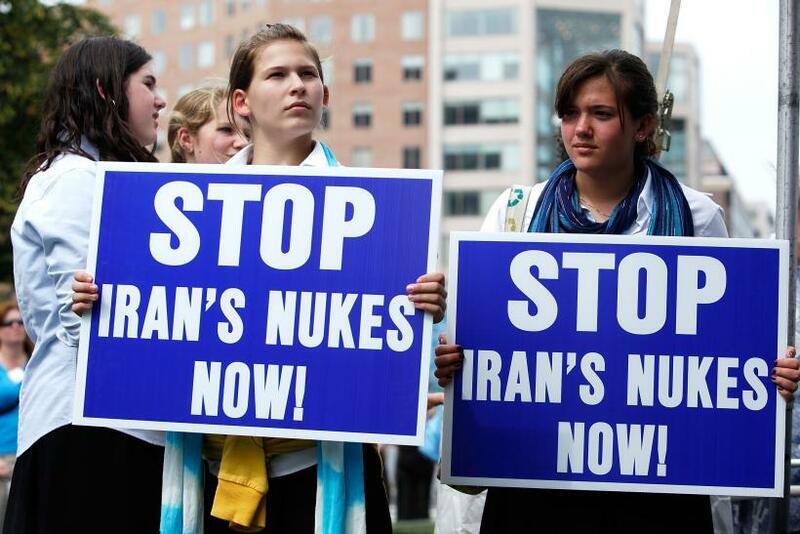 A recent poll, however, found 63 percent of American Jews support the nuclear deal. Obama has sought to convince the American public – as well as Congress – that the agreement with Iran ultimately will prevent the country from obtaining nuclear weapons and will improve security for both the U.S. and its regional allies. He has reiterated that the deal is built on unprecedented access for inspections of Iran’s nuclear facilities – not trust. But some Iranian-American Jews, many of whom continue to hold the regime accountable for uprooting their families, are not so sure. The U.S.’s largest Iranian Jewish organizations have come out harshly opposed to the deal, and some synagogues and community organizations have encouraged community members to lobby against the accord. Under the U.S.-backed Mohammad Reza Shah Pahlavi, who led the country from 1941 until his overthrow in 1979, the Jewish community of more than 80,000 flourished in Iran. As Jews in other Middle Eastern countries flocked to Israel between the 1940s and 1970s, Iran’s Jews widely chose to remain. Community members recalled close ties, even respect from Muslim neighbors and classmates. Their success under the Shah’s regime backfired, however, when following the 1979 revolution, young revolutionaries and the newly installed government placed part of the blame for the Shah’s repression and the country’s economic woes on the prosperous Jewish minority. 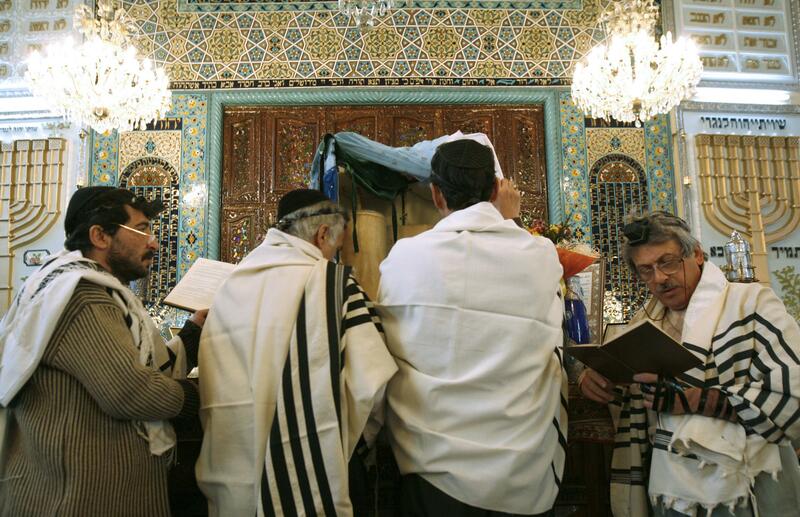 Today, only about 9,000 Jews remain in Iran, according to Iranian census data, and they keep a generally low profile. They distance themselves from Israel, which Iranian leaders continue to characterize as an enemy state. Many Iranian Jews, believed to be the world’s oldest Jewish diaspora community, have preserved their traditions in households and Iranian Jewish communities throughout the U.S., including the largest ones on the West Coast. Iranian-American Jewish communities have established restaurants, community organizations and synagogues. Many retain a great deal of pride for their heritage and nostalgia for the lives they led in Iran prior to the revolution, community leaders said. Despite the strained relationship with their homeland, some Iranian-American Jews said they support the Iran deal as the best way to limit Tehran's nuclear ambitions. Raymond Iryami, a lawyer from Long Island, said he still remembers the fears that rattled his community in Iran as a child. He recalled hearing about the execution of two prominent Jewish leaders, accused of collaboration with Israel, and several high-ranking officials of the Shah’s government. The events sent shivers through the Jewish community in Iran. “These people are scary,” Iryami said he remembered thinking as a child before his family fled to the United States when he was 10 years old in 1982. "It wasn't just that there was a revolution and the regime changed. Literally there was a revolution in every household -- it changed everything." Iryami, who has been involved with various Iranian Jewish organizations in the U.S. over the years, can relate to feelings of distrust toward the Iranian regime. Yet he’s an outlier in the community in that he cautiously supports, or at least understands the necessity of the agreement. If allegations are true that Iran is in reach of obtaining a nuclear weapon, options are limited and the international community has to act quickly, he said. “Personally, I just don’t think the U.S. had a better option than this deal,” he said. About 200 miles away in Baltimore, a distinctly Middle Eastern synagogue built of pink brick stands out in an area of the city with many ultra-Orthodox, mostly ethnically European Jews dressed in black hats and suits. Daniel Golfeiz, director of the Ohr HaMizrach Congregation, said he and other members in his community would like to see eased relations with Iran. But like many Iranian Jews, he questioned the possibility of peaceful relations with a government that drove his friends and family out of Iran, a country that remains in the hands of what many believe to be religious fanatics. “The country has a lot of potential, and with the right leadership it can be great, but I just don’t know if it’s there yet,” he said.